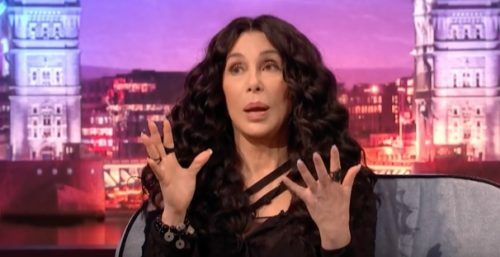 Cher sat down James Corden to talk about her upcoming flick, Mamma Mia, and told quite the remarkable story. She and Meryl Streep once saved the life of a woman who was being attacked on the streets of New York City. As Cher tells the story, they were hanging out together when Streep decided she wanted some ice cream. While Cher expressed anxiety about the safety of the neighborhood, Streep convinced her they’d be perfectly safe. But as they walked down the street, it quickly became obvious that “safe” wasn’t exactly the right word to describe the neighborhood. But when they came across a “giant of a man” ripping the clothes off a girl, the two sprang into action. Watch the video to see how this ends. It’s truly a heroic tale.